The Tai Chi learned by most people for health is usually a series of forms combined together to form a long, single, slow, meditative, continues movement. Some tai chi forms have a really long series of movements performed on the right and left side, others have 24, 48, up to over 100 movements. Some of the most popular styles are Yang Family, Chen, and Wu style tai chi chuan. Temple Style Tai Chi Chuan (which also comes from Yang style) has a long form or dance, but it does not rely on the long dance for true cultivation of chi (intrinsic enery). 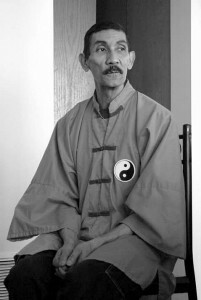 All styles of tai chi chuan aim to cultivate chi. The life force that is truly essential, powerful, and very elusive to cultivate if tai chi chuan is practiced incorrectly. There is a plethora of discussions on Chi or Qi (Ki in Japanese and prana in yoga practice) so I will not do it here. Google is your friend when it comes to this subject matter and you make your own intelligent conclusions regarding the theory of chi. In my experience of teaching, my students feel chi flow very early in their practice of just the first thirteen forms. This is without me telling them what to expect during the practice or even explaining the concept of this energy movement. The long form has many useful qualities, but Temple Style does not rely on it for gathering chi. To cultivate chi in quantity Temple Style has a collection of stationary forms known as the First Thirteen. Like the long form, these forms are performed in a series, but each form is repeated multiple times before transitioning to the next form. I usually do five to seven repetitions of each form when I go through the First Thirteen exercise with beginner students. It usually takes anywhere from 30-45 minutes to finish the set. Like lifting weights, you add more repetitions to each forms when you think your mind and body can handle it. As you master the 13 collection of movements, more forms are introduced to be practiced. This is the time where a practitioner would set aside a separate practice for more single posture(s), after practicing the First Thirteen set. How to start practice for chi flow. Simple but never easy. Remember to stay relaxed (alive not dead), focused (mindful), and breathe deep lengthy breaths. Let us start from Preparation Form. Working form the ground up, stand still with your feet hip-width apart. 70 percent of your weight should be on your heels. If you can wiggle your toes then your weight distribution is good. Bend your knees slightly according to your comfort. Tilt your tail bone forward causing the hips to scoop up. This will naturally cause your spine to lengthen as if you are trying to balance a stack of tea cups and saucers on your hips. Sink your chest in and let your arms hang loosely from your sides as if you are holding eggs under your armpits and you do not want to drop it on the floor or crush them in your arms. Feel your head floating like a balloon and your neck is the string. This is suspension. From your shoulders down let gravity take over and feel that heaviness like your body is just melting to the ground. Feel all your tensions flush downward. This is grounding. Have your eyes gaze into the horizon. Eyelids and your brow area feel heavy as if you are sleepy. Lightly connect the tip of your tongue to roof of the palette of your mouth just behind your teeth. This is the connection (internally). Now breathe expanding and contracting from your stomach. Focus on this area as you stand still for five minutes before Preparation. My lineage of Temple Style Tai Chi Chuan comes from Master Jose P. and he learned it from Grand Master Waysun Liao (Oak Park, IL). There are others who practice this style around Chicago. Make sure you find a good and knowledgeable instructor if you are interested in learning tai chi chuan. Here is a rare clip of my master doing push hands with me.